In mathematics, Trigonometry shows the relationship between multiple sides and angles of a triangle. 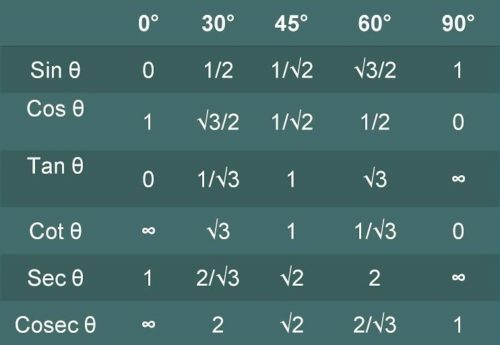 Trigonometry is used throughout the geometry where shapes are broken down into a collection of triangles. Basically, Trigonometry is the study of triangles, angles, and different dimensions. Although the definition may sound simpler yet it is vital for modern engineering, complex mathematics study, architecture, logarithms, calculus, and other fields. The word Trigonometry was derived from Greek words triangle (trigōnon) and measure (matron) during the 16th century. So, this is not a new concept but into the existence of centuries and played an important role in the discovery of various mathematical and scientific theories. One of the biggest benefits of this mathematic technique was realized by the astronautical science and Indian astronomers. Most of Trigonometry formulas revolves around ratios and extremely handy to solve complex problems in Trigonometry. If you want to appear for any competitive exams after your school then hands-on knowledge of different Trigonometry formulas is essential. The basic of any Trigonometry formula is a Trigonometry Identity. So, you must be curious to know about Trigonometric identities, let us discuss the same in the next section. Trigonometry identities are Trigonometric functions of one or more angles where equality is defined for both sides. 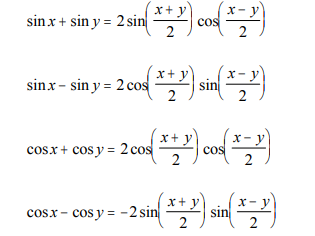 The identities are used to solve any complex Trigonometric equations or expressions. 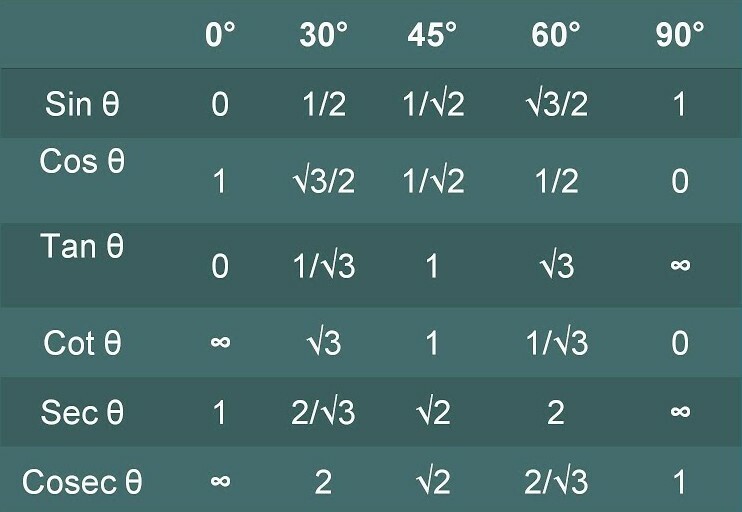 One of the most popular applications of Trigonometric identities is the integration of non-trigonometric functions. A Trigonometry equation is an expression that may hold true or false for any angle. If it holds true then it is a Trigonometry identity otherwise they are termed as conditional equations. 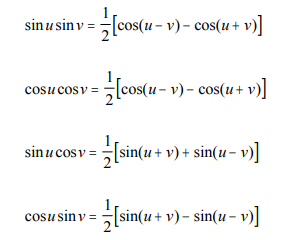 These equations can be solved with the help of basic Trigonometric formulas and identities. There are only a few equations that can be solved manually otherwise you need a calculator and special skills to find the solution to any Trigonometry problem. Why there is a need for Trigonometry Formula for Students? As discussed earlier, Trigonometry is the study of triangles, angles, and different dimensions. Although the definition may sound simpler yet it is vital for modern engineering, complex mathematics study, architecture, and other fields. With a deep understanding of Trigonometry, students would be able to work on precise angle of different sides of a triangle, calculation of distance among different triangle points and more important details that can be used for a variety of settings. Further, Trigonometry skills may help you in exploring wider job options too including engineering, architecture, aeronautical study etc. So, this is really important for the student to learn Trigonometry who are planning to enter in the field of scientific science or engineering. With the right mathematical skills, even the most complex problems can be understood in little time only without putting hard efforts. So, this would not be saying wrong that Trigonometry is one of most valuable branches of mathematics and online programs can make the learning even easier and more interesting to master the Trigonometry skills.